Home improvements can make life on your property easier, more convenient and sometimes even more affordable. If you choose the right projects, they can also mean more profits when it comes time to sell. But all home improvement projects aren’t created equally, especially when it comes to resale value. 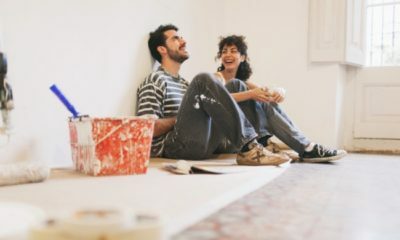 According to Remodeling’s Cost vs. Value report––if you want to get the most out of your improvement projects––you should be focusing on these 8 projects. A garage door replacement basically pays for itself, according to statistics. Not only does it add over $3,400 in resale value to your property, but it also can enhance curb appeal, making it easier to market your home and attract future buyers. Do you have dated vinyl siding on your home? Consider swapping it out with manufactured stone veneer, and give the exterior a serious upgrade. Stone veneer not only looks better, but it can also help the home better withstand harsh weather conditions and make your property more marketable (and better-looking in listing photos).